Since its 1999 launch, the cartoon "SpongeBob Squarepants" has become a pop culture phenomenon. According to Nickelodeon, the show was the top-rated animated kids' show on television for over 10 years, but millions of viewers in every age category tune in to watch the cartoon every month. Designed for children between the ages of 6 and 11, the show is rated TV-Y. 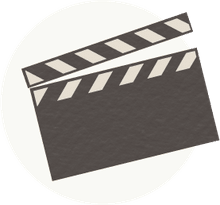 While that rating indicates it is suitable for all children, there are some aspects parents should be aware of before they let their kids watch. In the cartoon, SpongeBob the sea sponge dwells with his underwater neighbors in the deep-sea town of Bikini Bottom. SpongeBob's house looks like a giant pineapple and his closest acquaintances include his best friend Patrick the Starfish, Sandy Cheeks the squirrel, and his co-worker Squidward. SpongeBob works as a fry cook at a fast food shop called the Krusty Krab. Within highly imaginative storylines, the show's humor centers around silly situations in the daily life of the very childlike main character, SpongeBob. Most of his amusing escapades also involve his very dim-witted best pal, Patrick. While the show is intended for young children, it has become popular with college kids, which may give some indication to the show's content. While the show is funny, imaginative and has colorful situations, but it may not always be the best program for small children. Characters in the cartoon sometimes use words like "stupid" or "jerk" that parents may not want kids to repeat. Insults are thrown around casually, without repercussion. Also, most of the humor in the show stems from situations that occur solely due to the fact that SpongeBob and Patrick are just really unintelligent (in SpongeBob's case, it is more of a naïvete, but Patrick is usually characterized as being completely dense). 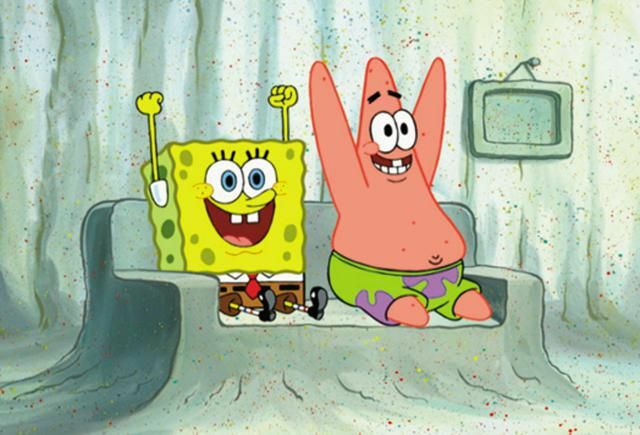 Physical humor also plays a role in this cartoon, which is one of the reasons SpongeBob is shown at least once in almost every episode wearing just his underwear. Often, the language and situations in the show are loud, obnoxious, and sometimes rude. In other words, it's a dream show for the target age group, and the crude humor is much appreciated by 6-11 year-olds. For older kids and teens, "SpongeBob SquarePants" may be better than some other TV viewing options; it just depends on the family and the type of comedy they enjoy, but parents of young children may want to preview the show before letting kids watch. Before letting your child come home from school and plop down in front of the television to watch SpongeBob and his gang, make sure you are comfortable with the content first.